Paul's Carpet and Furniture Cleaning, Inc specializes in cleaning area rugs. Often times, clients are interested in having their area rugs steam cleaned. In that case, a truck mounted carpet cleaning system is utilized. The rugs are pretreated with a cleaning solution and cleaned, rinsed and extracted with a wand, just as would be used to clean your carpets. Other times, a deeper cleaning is requested. 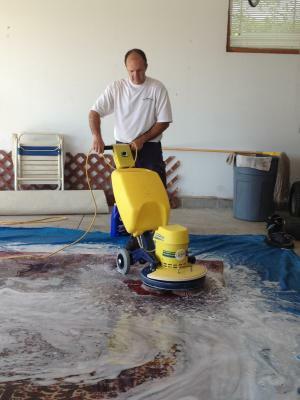 At Paul's, they can submerge the area rugs in a pool of water and cleaning solution at the shop. The rugs are cleaned with a Cymex system, utilizing three spinning brush heads. This is a very aggressive method and is not recommeded for fine Orientals or silks. However, if your rugs have excessive soil or urine, this method is very effective. Whatever your circumstance, Paul's has the knowledge and equipment to effectively clean your area rugs. Paul's is a family owned and operated business. They pride themselves on their old fashioned values of hard work and honesty. In business since 1990, Paul's is here to stay. For more information or to schedule an appointment, call 262-966-0600 or find them on the web at www.paulscarpetcleaning.com.